The Big Ticket™ is a 3-day adventure pass that provides full admission to five Mall of America and Twin Cities attractions - nearly a 30% savings over regular ticket prices. The Big Ticket is valid at any of the participating attractions listed below and is good for one year from date of purchase. 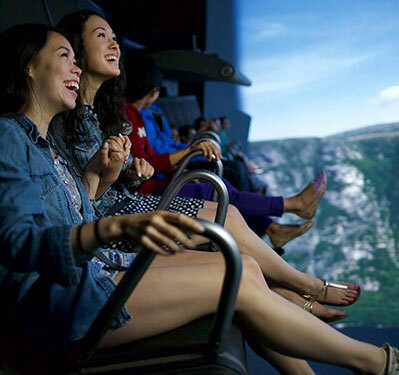 Once your ticket has been scanned at the first attraction, you are allowed to visit each attraction one time within three days, so let the fun begin! 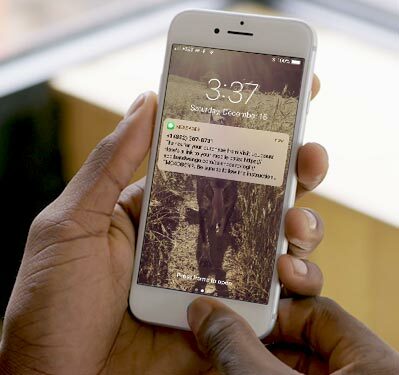 When you purchase the pass, an email and text will be sent to you immediately. 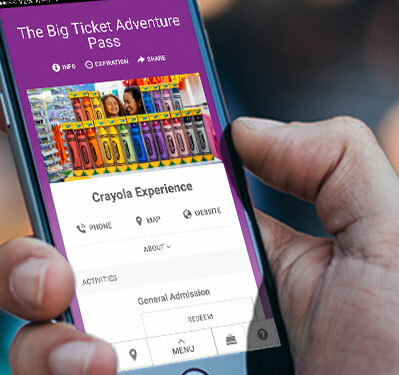 The pass holder simply needs to present their e-ticket (displayed on their phone) to the attractions attendant or if the ticket was printed out, show your print at home ticket to the attraction attendant. The Big Ticket™ is a 3-day adventure pass that provides almost a 30% savings on five Mall of America and Twin Cities attractions. The Big Ticket™ is a 3-day adventure pass that provides you with admission to five of the top Mall of America and Twin Cities attractions - that's over a 30% savings! When visiting an attraction, simply present your phone or print-at-home voucher to gain admission. At Crayola Experience, you'll be immersed in color and creativity - a place where there's no limitation to creativity and imagination. Large family entertainment center & sports bar featuring the biggest & best sports viewing in the Mall of America, 100+ arcade games, 12 lanes of bowling & comfort food. Mall of America® is one of the top tourist destinations in the country with more than 520 stores and attractions including an indoor theme park. Minnesota Zoo aims to connect people, animals, and the natural world to save wildlife! SEA LIFE is a unique interactive aquarium experience for kids. Vouchers are redeemable for certain goods, services or experiences offered by, or facilitated through, the Merchant identified on the Voucher. The Merchant is solely responsible for redeeming the Voucher. Furthermore, the Merchant is fully and solely responsible for the care and quality of all goods and services it provides to you and for any and all injuries, illnesses, damages, claims, liabilities and costs (“Liabilities”) it may cause you to suffer, directly or indirectly, in full or in part, whether related to the use or redemption of a Voucher or not. You waive and release Bandwango, Bloomington CVB and its subsidiaries, affiliates, partners, officers, directors, employees and agents from any Liabilities arising from or related to any act or omission of a Merchant in connection with your use of a Voucher or the goods, services or experiences a Merchant provides in connection with the Voucher. The Merchant is the sole issuer of the Voucher. Vouchers are not redeemable for cash. Unauthorized or unlawful reproduction, resale, modification or trade of Vouchers is prohibited. Pricing relating to certain Merchant offerings and Products on the site may change at any time in Bandwango and Bloomington CVB's discretion, without notice.